Jennifer Connelly: "Being Happy Is More Important Than Being Beautiful"
Jennifer Connelly is one of those Hollywood actresses whom we admire. She is uber successful, has amazing eyebrows (!) and doesn’t allow her private life to be cheap tabloid fodder. More importantly, she has a very wise outlook on beauty, and the influence of pop culture on women. She recently did a shoot with Allure Magazine to promote a couple of movies she is in including Noah (also starring Russell Crowe and Emma Watson) and Shelter (written and directed by her husband Paul Bettany). When asked about her view on glamor and the effect the beauty industry has on women, her answer alludes to something much more sinister that happens in our culture, almost like a curse that needs to be broken in order for us to realize true happiness. Yep. Being happy is more important than trying to achieve some standard of beauty the world forces upon us. This is not a new trend in Hollywood, by the way. The types of pressures that actresses have been crumbling under have been around since the golden era of the film industry. The blog Reel Hollywood Legends outlined some of the horrific things these actresses had to endure just to maintain a “look” that a studio wanted them to have, in a post titled ‘The Ugly Side of Beauty’. Jean Harlow’s signature platinum blonde hair was achieved by weekly peroxide sessions which ultimately led to severe follicle damage, she was forced to wear a wig. Myrna Loy was ordered to have her ears, which stuck out a little, glued to her head by makeup artists which was an order by MGM boss David O’Selznick. The irony is that actor Clark Gable also had prominent ears but was never given the same pressure, according to the blog. 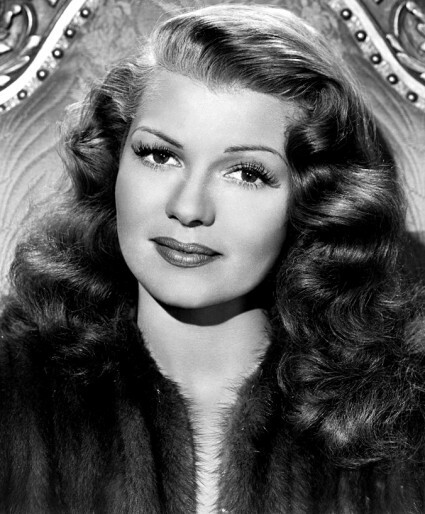 Red-head Rita Hayworth reportedly underwent two years of electrolysis treatments to “raise her hairline” which in the end only made a subtle difference, but caused a lot of pain. If this is what was happening in the 1950s, can you imagine what goes on behind the scenes today? Thankfully there are plenty of women who are taking a stand and using their voice to break down such a tragic and obviously male-driven trend to promote a realistic type of beauty. Who on earth thought these actresses needed to look different in order to look beautiful? Why weren’t they good enough the way they were? It’s scary to think that the idea of “not being good enough the way you are” has been around for a long time. It is almost sinister. A plot to break down a woman’s self-esteem from the highest point of influence (Hollywood and the media) so that women cannot live up to their full potential and become more powerful. Sure that sounds very conspiracy theory-ish, but just look at how women have progressed since the 1950s, mainly due in part to a new wave of confidence-building that is being taught to young women. We hope this continues. Ladies, it is more important than ever to promote positive messages. Thank you Jennifer for saying something that needs to be said. God bless you and those wonderful eye brows of yours, of which we are jealous!